Change is ever present and ever accelerating. It is both a journey and a destination. 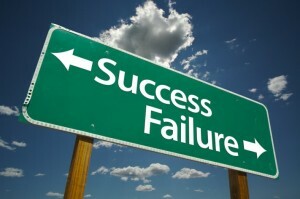 We would hope that we could reach our destination of successful change by simply selecting the right road clearly marked, an arrow pointing us in the right direction. 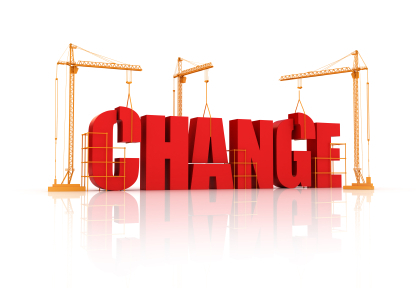 However, organizational change is more complicated and requires a thoughtful and insightful leader willing to invest resources to see the change initiative through to its successful conclusion, arriving at the desired destination. achievement of these modifications having consequences for a particular organizational unit or the organization as a whole. In short we are talking about demands placed on organizations or subunits that require significant departure from people’s current routines and behaviors. 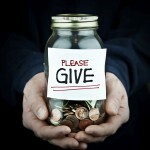 The success of this change depends upon the support of those affected by the change. 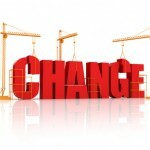 Personal change precedes the organizational change. As you read through the steps, I’m sure you can see where relationships are extremely important. Relationships between leadership and management, between management and front line workers whether employees or volunteers. FOr it is people who make that personal change in their behaviors and routines that produce the consequences making change a success, or failure. Our webinar on April 2nd explores several of these steps and presents some practival ways to address errors that commonly occur. Share your experience with leading change or being a follower of an organizational change initiative. Did nurturing and cultivating relationships bring about successful change?? Have you ever been in a group and then were asked to lead it – and product results? 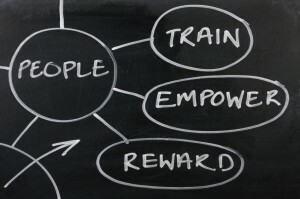 Have you ever wanted to learn how to lead successful groups? People get frustrated and discouraged when groups aren’t effective. And more and more, people are asked to team up to get things done on the job, in their towns, for schools and in their communities. 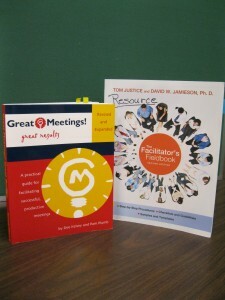 It makes a big difference when you know how to work with a group and lead meetings to get great results. But this isn’t always easy. Strengthening Your Facilitation Skills (SYFS), Level 1, is a five-part Training Series designed to help local citizens learn how to get work done more effectively and efficiently in group meetings. The UVM Extension is offering the Training Series simultaneously in five locations beginning Tuesday March 12, 2013. Pre-registration by March 1st is necessary for the workshop curriculum to be designed to meet the needs of the group. Early bird registration deadline is February 15th. Each session will begin at 12:30pm and conclude no later than 4:30pm. 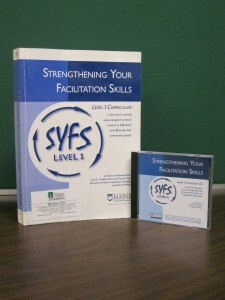 SYFS will help you learn and practice facilitation skills in an experiential setting. You’ll also get a chance to observe facilitation challenges and receive feedback in a safe environment. To maximize the group’s learning experience, commitment to all sessions is highly encouraged. The cost to participate in SYFS is $100. (early bird registration is $75.00), which includes a resource notebook and a couple of resource texts. Workshop size is limited, so register early. For more information, visit our website for brochure and online registration. Checks are made payable to UVM Extension and should be mailed to Lisa McCrae at UVM Extension; 374 Emerson Falls Rd., Suite 1; St. Johnsbury, VT 05819. I’m often reminded that leading change is not for the faint at heart. Having a plan for change is a good start . 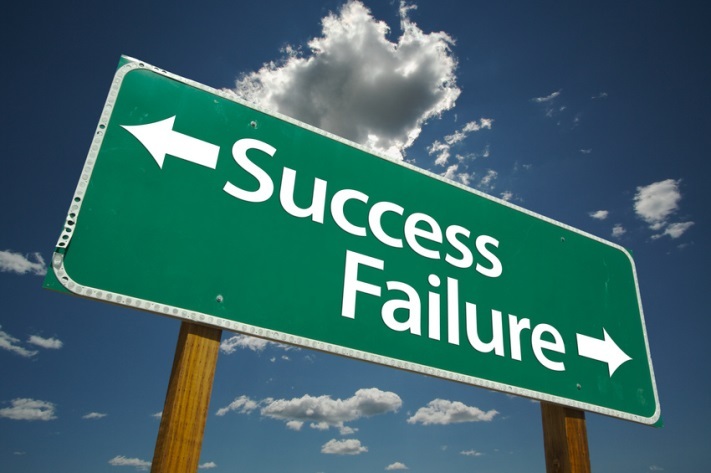 Spend some time identifying the potential ramifications that may result. Open your mind to thinking across the organization and about how others may view the proposed change. Anticipate the unexpected and prepare yourself with some answers and strategies so you can act with grace and diplomacy. 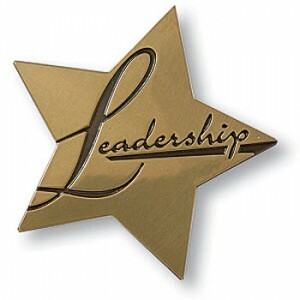 When things go wrong, and they will, you need to be ready to take the heat and accept the responsibility as the leader. When things go right, share that success with as many colleagues as possible. It will help to position you in a Win-Win situation. Planning is a key to successful organizational change, so where do we start with planning? You might begin by identifying a team of staff to engage with leadership in the implementation of change right from the beginning planning stages. Think about including individuals representing the various demographics of your organization (years of service, level of employment, and all departments that will be affected). Call the implementation team together and share a worksheet created with the bulleted list above and begin discussion on the first barrier with the full large group. The goal is to identify both the root cause of the barrier as well as the approach or strategy the implementation team might take to overcome or eliminate the barrier. Once the team experiences what you are looking for from the discussion, divide the team into smaller groups and assign several of the barriers in the list to each small group. Pull the small groups back together and draw in contributions for the entire group to discuss the responses and ways of overcoming barriers. Unfortunately we don’t have a crystal ball to project which barriers we will confront, but the team brings a breadth of experience and knowledge about the organization and will be able to identify the most likely barriers ahead. Invite an active and open discussion about those barriers that are likely to become a reality. Addressing those, what could be put in place immediately to promote successful navigation of the barrier? Leading change is never easy. Being proactive with planning and implementation will surely help. 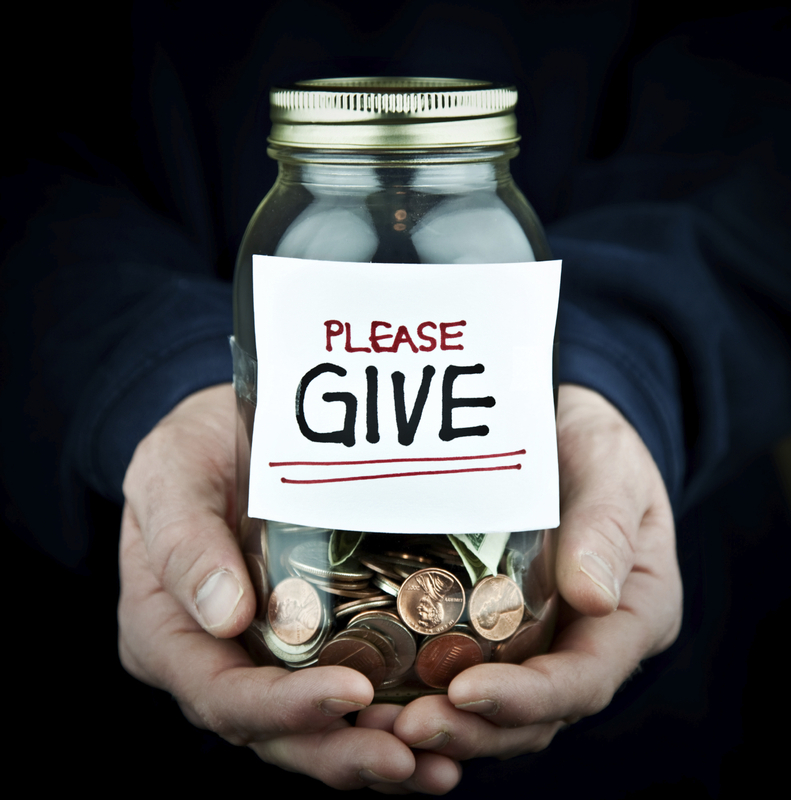 What other ideas do you have that may assist others in leading a successful change initiative. Teams are organizational groups made up of individuals who function interdependently, coordinating activities to accomplish common goals. Does your organization use work teams, like project management teams, task forces, work units, or standing committees, to accomplish goals? If yes, read on and join a conversation. Just what makes an excellent team? What do excellent teams have in common? Studies show that regardless of the type of team, eight characteristics were regularly identified. Think about a team where you participate and answer these questions focused on the eight characteristics. Does the team have clear, elevating goals? Are they clear enough to everyone can tell when the performance objective is achieved? Are the goals motivating so that all members believe them to be worthy of their active participation? Does the team have a structure to support their results-driven goals? Is it a structure that will help the team to accomplish their goals? If the goals of your team focus is on problem-solving, does the structure focus on building trust so that everyone feels free to contribute to the dialogue? If the goals of your team focus is on strategic or tactical work, does the structure provide clarity to everyone knows just what to do and when? 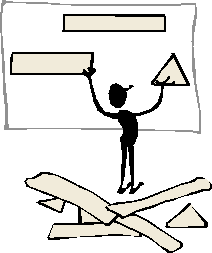 Teams have different work content and therefore will need a structure to support their successful achievement of goals. Are the team members competent, with technical competence to address tasks as well as interpersonal and teamwork skills? Do you have the right number and mix of skill competency to achieve the goals? Is there a shared commitment to the work group or team? 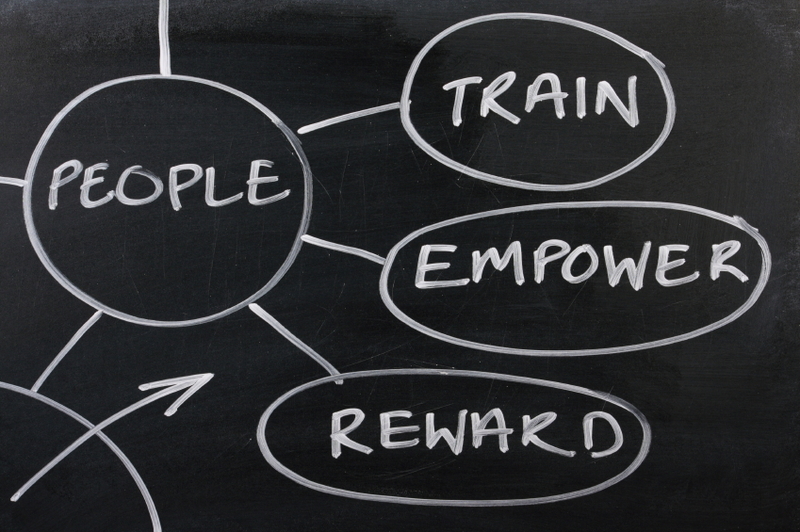 Have you involved team members in all aspects of the work to build a team spirit? 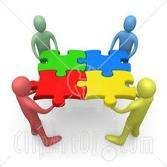 Is there a climate of collaboration within the team? Do team members stay focused on the problem/work? Are they open with each other as they work through tasks? Do they listen to each other? Are they free to take risks? Are they willing to compensate for each other to achieve the best possible results? Does the organization or the team itself have a standard of excellence identified? Are they clear and concrete, easy to understand by all members? Are they useful in applying some pressure for members to perform at the highest levels? Does the organization support the work and accomplishments of the team? Is the team supported with funding, equipment and supplies to accomplish their work? Are teams rewarded for accomplishing difficult assignments? Recognized for their hard work? 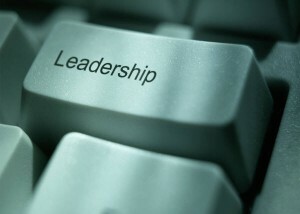 Does the team function with the guidance of an effective, principled leader? Does the leader help the team to understand problems that confront the team? Does the leader help the team become a cohesive unit, set high performance standards and facilitate achievement of the work goals? Does the leader address stressful issues by providing clear goals, distribution of tasks and strategies for accomplishing the tasks? Does the leader take care in matching skills of members to the roles that need to be done? Does the leader monitor feedback and progress? Is the leader adaptable to environmental changes, internal and external? Share your reflections and let’s join in a lively discussion on these eight characteristics of Team Excellence.